Hope everyone had a good Thanksgiving. Gotta give Billy Jam a shout for playing Big Shot by DJ Agent 86 on his radio show Put the Needle on the Record on WFMU the other night. The ep Raise the Roof is available for digital download right now and the 7 inch single The Ultimate/Big Shot is at the pressing plant being manufactured. I had the chance to be on Billy Jams radio show when he did a live broadcast from Oakland a couple of weeks ago. Ran into Azeem at the radio show. We had released his album Show Business on Bomb Hip-Hop in 2004. He laced me with a mix cd called “On the Rocks” by him and DJ Zeph. If you can cop a copy of this cd I highly recommend it. 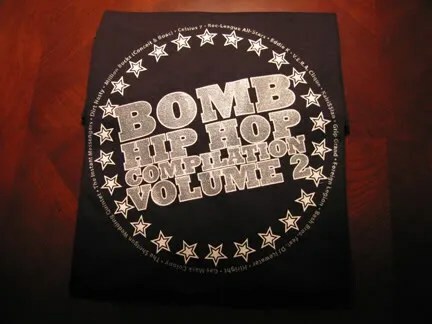 Our new Bomb t-shirts are in stock. 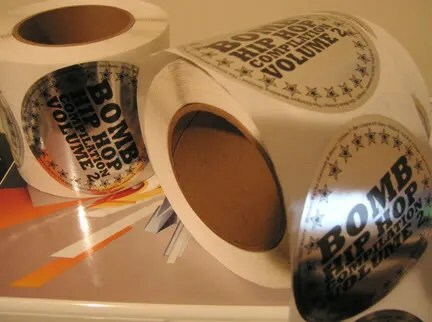 These were made to coincide with the release of the the Bomb Hip Hop Compilation – Volume 2. The shirts are black with white and silver ink. Each limited edition shirt comes with a download card to download the entire album. If you are interested in purchasing a shirt just click here and scroll down to just past the album track listing for the info. Coming up on Dec 19th we are doing a special $5 hip-hop show at the Dark Room (Club Six) in San Francisco with Sweatshop Union, Bash Bros, and Boac with Dnae Beats. Hope to see everyone out at this event. For just $5 you can’t lose! 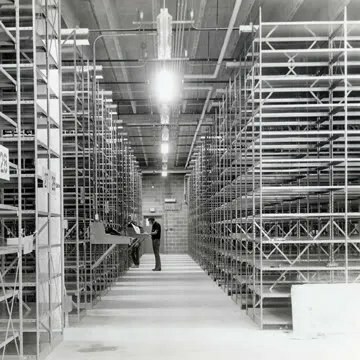 Purchase an advance ticket and get a free un-released track by the Sweatshop Union sub-group Pigeon Hole. Had a chance to hang with the guys from V.E.R.A. 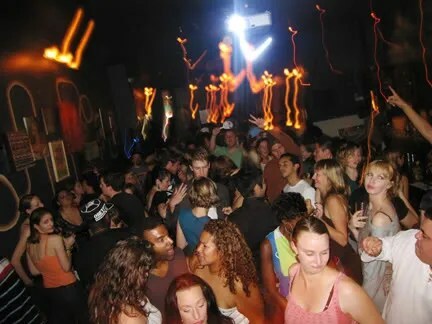 Clique on Saturday night (Nov. 22nd) at Club Six. 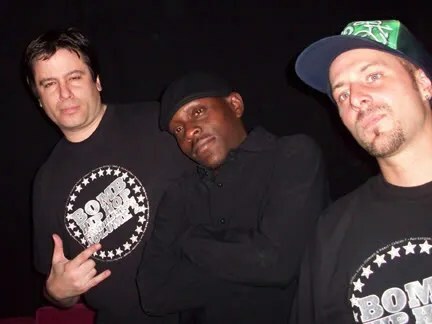 Also in the house were Foreign Legion, Celsius 7, Hiright and DJ Denizen. It was great to see everyone. 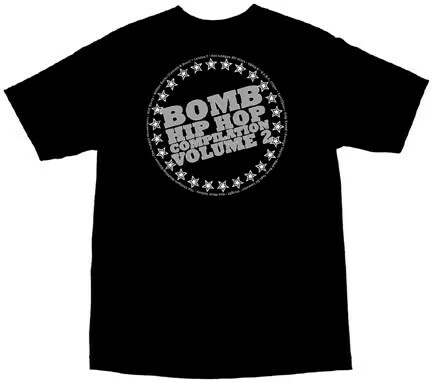 The official t-shirt for the Bomb Hip Hop Compilation – Volume 2. Limited edition, only 72 t-shirts manufactured! Half of these are going to the artists from the album and interns so that only leaves about 36 shirts for sale. Features the album title with circle of stars surrounded by all the names of the rap acts on the album. White and Silver ink printed on 100% cotton black short sleeve 6.1 oz shirts. Available sizes – Medium, Large, Extra Large and 2XL. CLICK HERE if interested in purchasing a t-shirt. The info and links are right underneath the album tracking. The price is $28 in the US, $33 everywhere else in the world. Price includes shipping & handling. Limit one t-shirt per customer. Each shirt comes with a special digital download card. 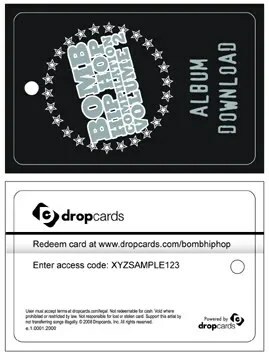 Redeem the card online to download the entire Bomb Hip Hop Compilation – Volume 2 album for free. CLICK HERE to see all the photos from our Prince vs Michael 6 Year Anniversary and 50th party celebration. We hope to see everyone Dec 20th @ Madrone Lounge in San Francisco for party #51. Our new stickers are in. 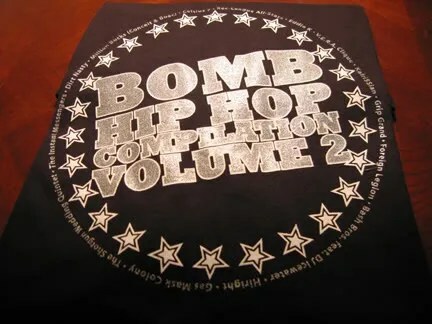 This is the sticker for the Bomb Hip Hop Compilation – Volume 2. Four inch circle metallic sticker with black print. All orders from our online store will receive a free sticker from this date on. CLICK HERE to listen to the special digital ep Raise the Roof by DJ Agent 86. The four song ep contains the following – The Ultimate, Big Shot, Rock the House, and Ghettoblaster (Get It On). You can purchase each song for .99¢ if you like or all four songs for $3.50. Chose which quality you want; MP3, AAC, FLAC, Apple Lossless… it’s all the same price! Even if you think you’re not interested in buying music click on the link and have a free listen, I’m sure you’ll enjoy the music. This is the only place you can get the digital ep right now. It won’t be on iTunes and other websites for at least a month. In the new year we will be releasing a limited edition 7 inch record featuring The Ultimate and Big Shot for all the vinyl collectors out there.